If your organization is struggling to understand the pros and cons of a digital product. Or if you want an overall picture before making an investment for a redesign. The Diagnosis & Analysis is the perfect solution for your problem. The process is simple. I help your organization understand what doesn't work, what needs improvement and what are the best practices for the problem in hand. Depending on the product, we might test the platform with real users. Or create a usability test specifically for the product. Or make a diagnosis based on our years of experience in the field. 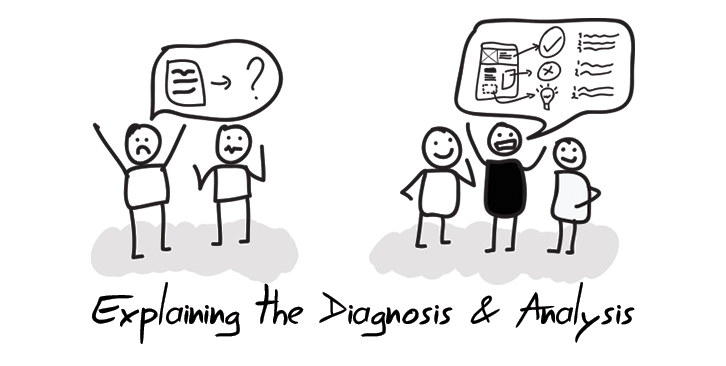 To determine the best solution, we need to talk the goals of the Diagnosis & Analysis.